Despite the rise in home prices and affordability issues in several pockets of the country, the U.S. housing market has a bright future. According to Nationwide’s latest forward-looking barometer of U.S. housing market health, the primary reason for the positive outlook is simple: housing demand. Household formation growth picked up sharply over the last quarter to move above the long-term average, and job gains remain solid. 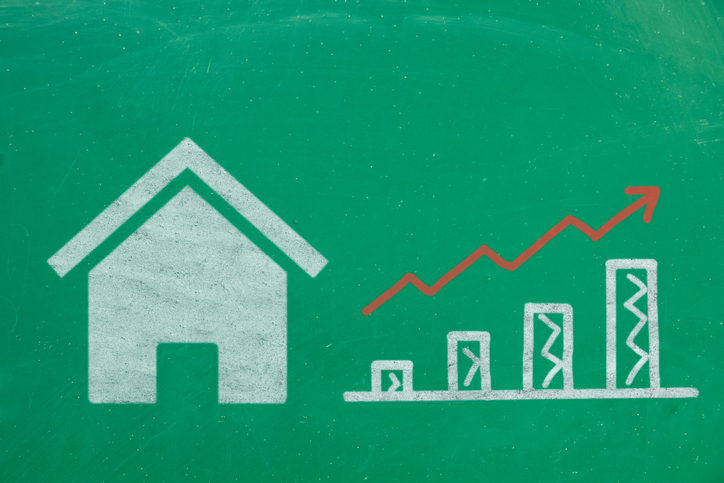 According to Nationwide’s Health of Housing Markets Report (HoHM Report), household growth is expected to remain above average during the next few years, increasing demand on an already limited supply of homes. In fact, while the National Association of REALTORS® recently reported that national home inventory is at about four months at the current sales pace, several markets are experiencing just a month’s supply of inventory turnover in half – and even a quarter – of that amount of time. The report also found that, regionally, the rankings show positive and healthy housing trends in more than 75 percent of MSAs, suggesting sustainable expansion during the next year. While markets with strong ties to the energy sector (including North Dakota, Texas, Louisiana, and Alaska) continue to dominate the bottom 10 rated MSAs, the outlook for housing in these areas is slowly improving as energy production and employment recover. MSAs with the lowest housing inventory are, in order: Seattle-Bellevue-Everett, Wash.; Denver-Aurora-Lakewood, Colo.; Tacoma-Lakewood, Wash.; Boulder, Colo.; Fort Collins, Colo.; Portland-Vancouver-Hillsboro, Ore.-Wash.; Mankato-North Mankato, Minn.; Olympia-Tumwater, Wash.; San Francisco-Redwood City, Calif.; Sacramento-Roseville, Calif.; Fort Worth-Arlington, Texas; Dallas-Plano-Irving, Texas; San Diego-Carlsbad, Calif.; Columbus, Ohio; and Oakland-Hayward-Berkeley, Calif. The 10 top metro areas in the index are, in order: Lancaster, Pa.; Scranton-Wilkes-Barre, Pa.; Fort Smith, Ark.-Okla.; Lawton, Okla.; Durham-Chapel Hill, N.C.; Pittsfield, Mass. ; Toledo, Ohio; Springfield, Mass. ; Philadelphia; and Vineland-Bridgeton, N.J. If you are interested in buying or selling real estate, please contact Connie Vallone with First Market Realty at 713 249 4177 or visit www.houstonenergycorridorhomes.com or www.vallonehomes.com .